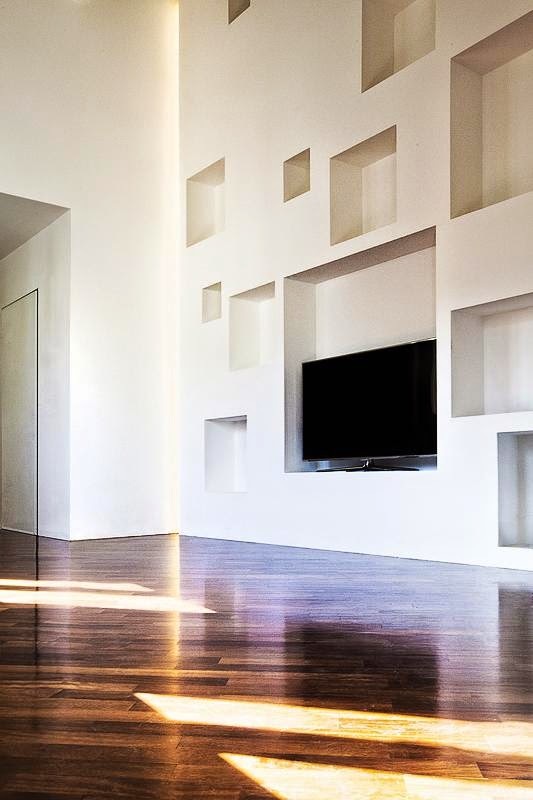 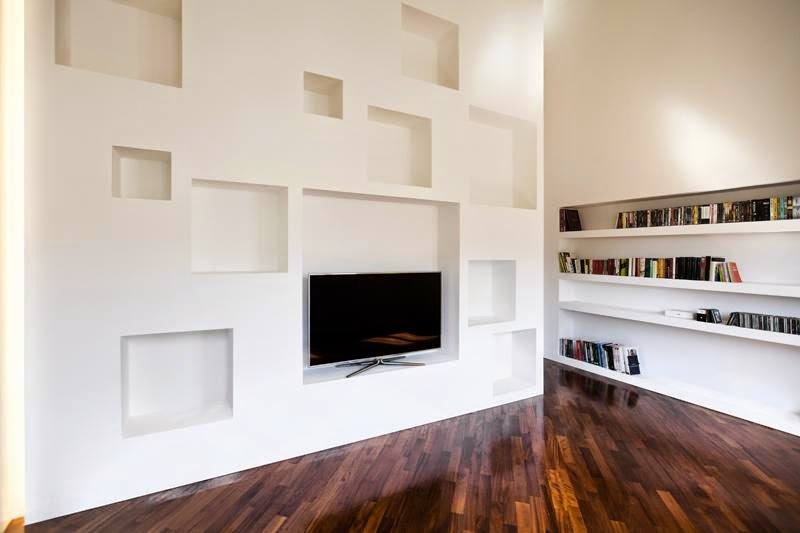 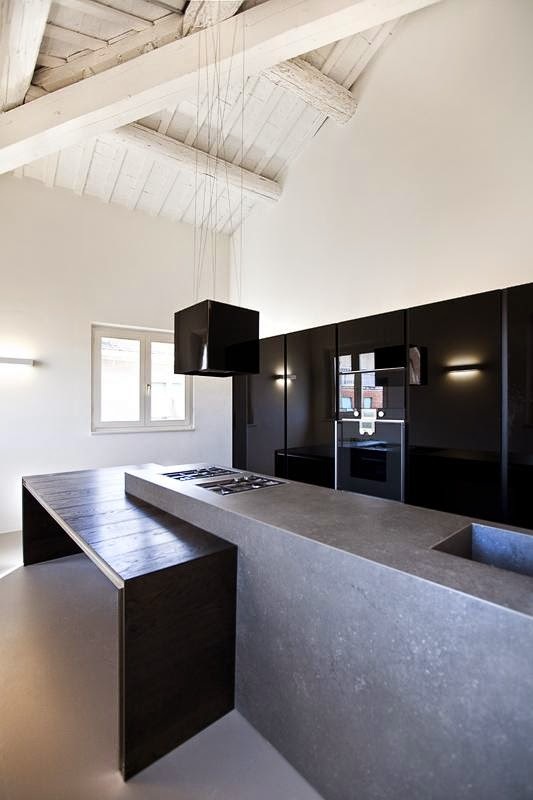 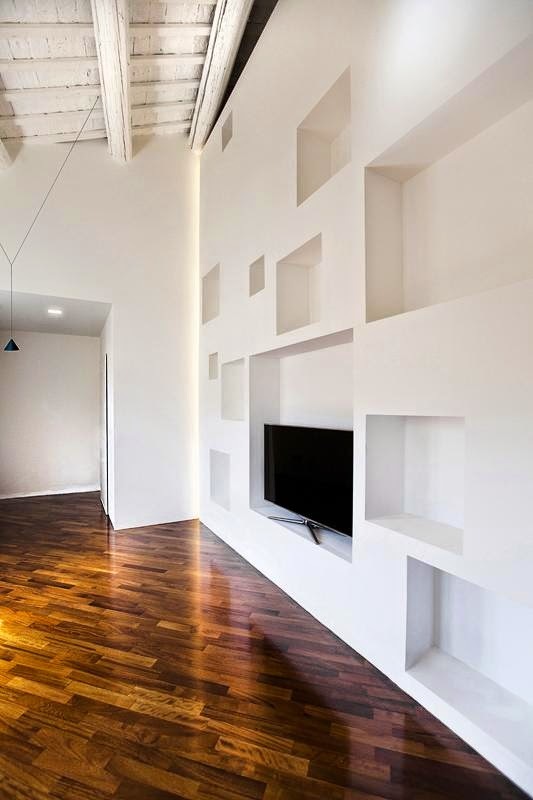 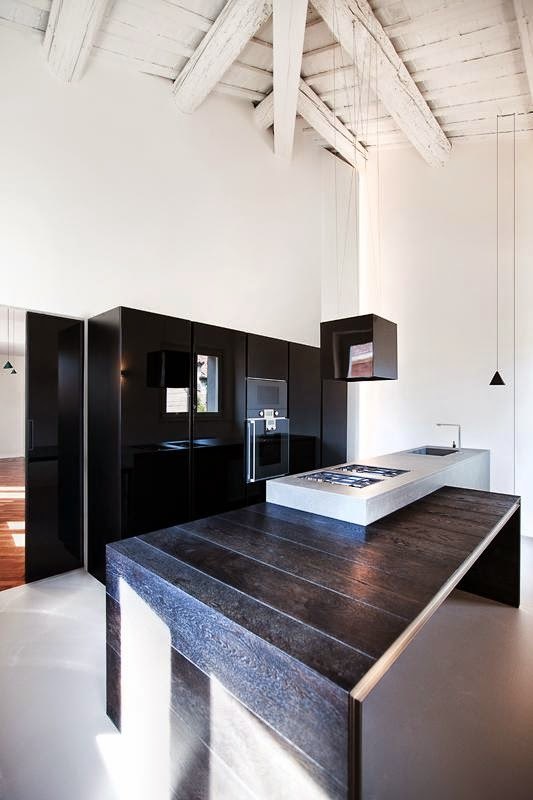 Loft B, located in the heart of Ferrara, Italy, has been designed by Tomas Ghisellini architetti as a contemporary, minimalist domestic space at the top of a historical building. 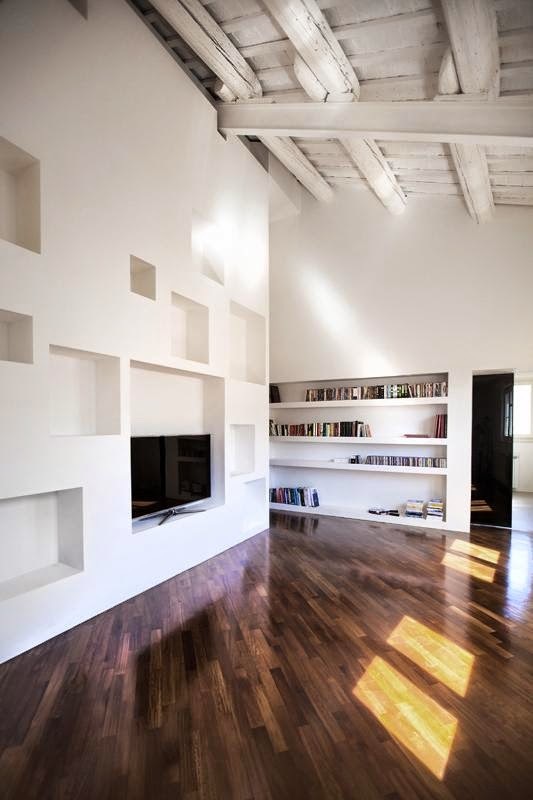 At the top of a precious historical building, right in the heart of the most valuable and fascinating Ferrara, a long uninhabited flat, after a former approximate restoration carried out during the nineties, has been transformed into a contemporary domestic space. 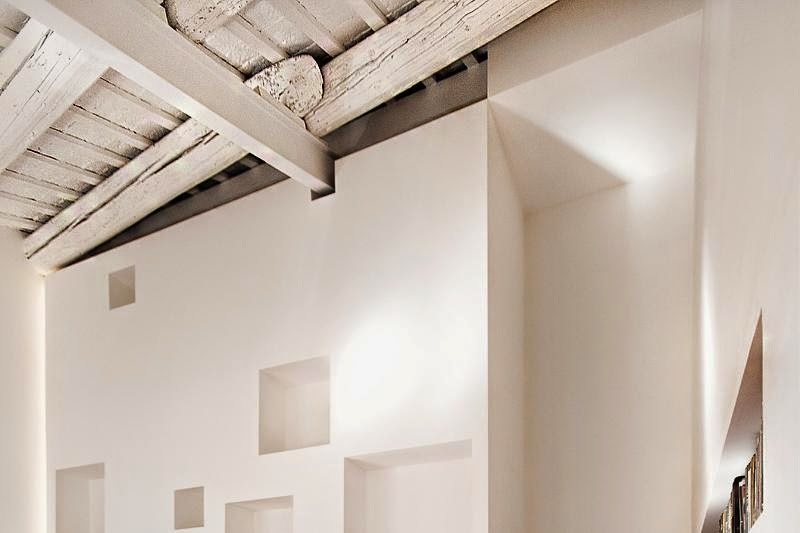 The original occlusive character of spaces has been overturned in luminous and weathering rooms, for which the distance between things becomes crucial in defining different percentages of intimacy. 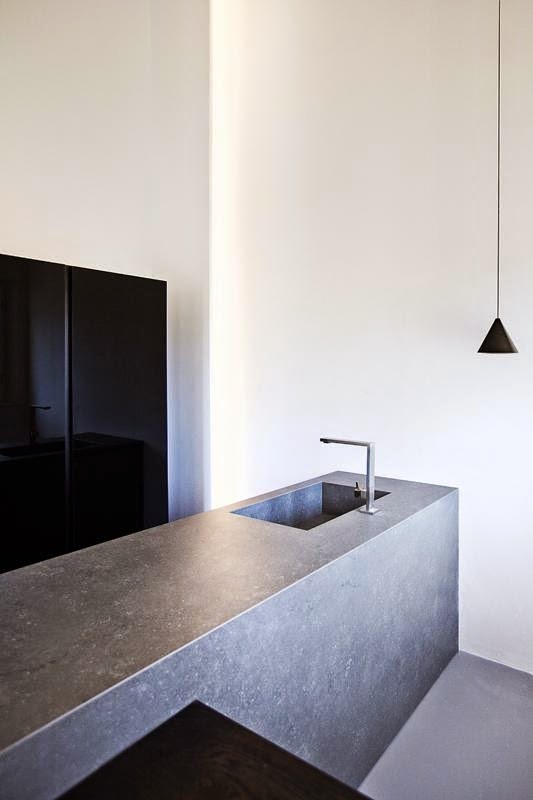 Bright and multifaceted surfaces reverberate light from windows returning the feeling of a shiny and glimmering space, a sort of emotionally significant dimension. 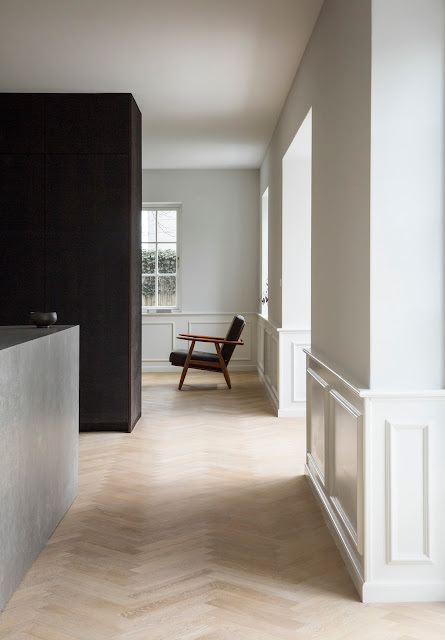 The original wood floor, the only pre-existing element saved by the intervention of transformation, has been given an extraordinary sheen and a not common reflectance, so that spaces appear to duplicate vertically in a sensual game of mirrors. 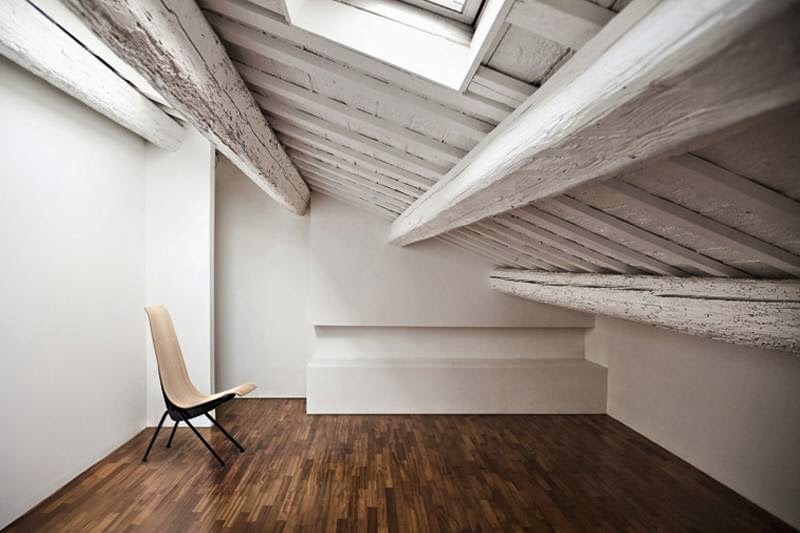 The walls get a significant thickness, becoming real three-dimensional places that welcome niches, surprise-rooms, panels and furniture as necessary to the preparation of the loft. 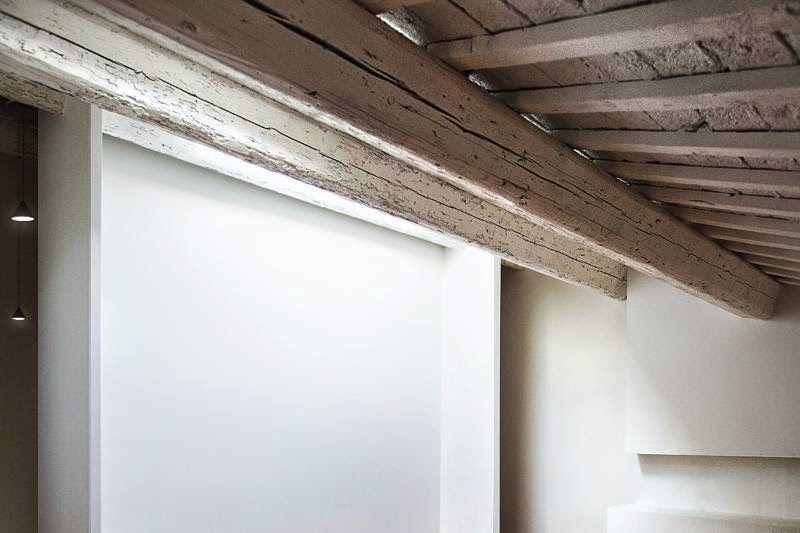 The openings frame panoramic views over the city and the stunning monument of the sixteenth century walls.